China mixed aromatics market changed radically in 2018, especially in the market pattern. Both the release of Announcement of the State Administration of Taxation on Issues Concerning the Collection and Administration of Consumption Taxes on Refined Oil and Three-Year Action Plan for Cleaner Air impacted the mixed aromatics market. The imported mixed aromatics finally lost dominance in China due to the high cost, and the import volume decreased Y-O-Y. The market share of domestically-made mixed aromatics increased due to the stably fine margins. On the demand side, the gasoline consumption increased by 1.77% Y-O-Y, which ensured the demand for mixed aromatics. Both China’s economy and the demand for gasoline will increase stably in 2019. The capacity of reforming units at independent refineries will continue to be released, and the output of aromatics from reformers might increase further. As the time of ethanol gasoline’s all-round promotion approaching, the demand for mixed aromatics is predicted to increase in 2019. With such complicated situations, how will China’s mixed aromatics market pattern change in 2019? Could China’s mixed aromatics import volume rebound? What kind of chances hide in the changes of the mixed aromatics market? This report is based on the first-hand data of 14 years of investigation from SCI, the authoritative data published by National Bureau of Statistics, National Development and Reform Commission, General Administration of Customs and etc., and the industry data from domestic major suppliers, traders and downstream factories. Senior industry experts will make detailed review of China’s mixed aromatics market in 2018 and forecast the mixed aromatics market using scientific analysis and data model. A large number of industry data from China’s mixed aromatics industry is released for the first time in this report. 1. A large number of industry data from China’s mixed aromatics industry is released for the first time. 2. 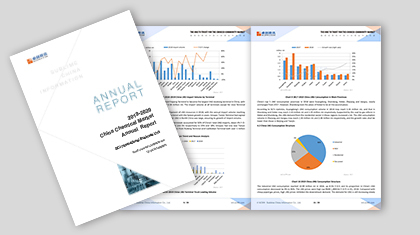 Report includes analysis of China’s mixed aromatics industry for the past 5 years, helping you to understand the industry status and trend. 3. Report analyzes the driven factors of prices from multiple perspectives, and analyzes conduction mode of the value chain in the mixed aromatics industry objectively.